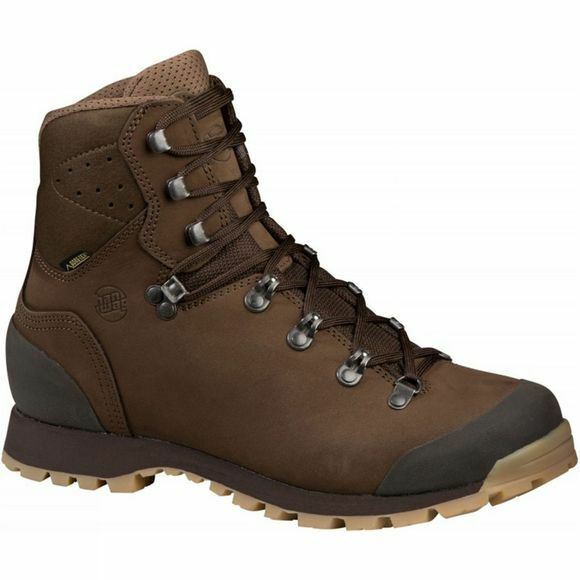 The Men's Anisak GTX Boot from Hanwag is a lightweight yet stable boot for long, low level hikes. It features a durable nubuck and cordura upper combined with a Hanwag Trek outsole that has a honeycomb structure to ensure minimal weight with excellent traction and durability, particularly across softer ground such as forests and fields. The protective heel and toe cap offers enhanced durability against those inevitable scuffs and scrapes while the wider last offers a more spacious fit for those who need it.